J.C. Penney shares hit a 33-year low Friday as rumors about the company's credit and a potential bankruptcy continue to swirl. 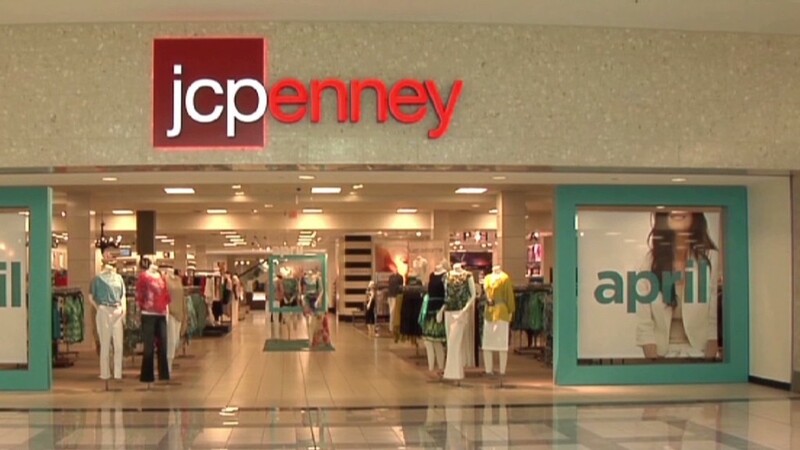 Shares of J.C. Penney (JCP) fell nearly 5% to end at $7.01 a share. 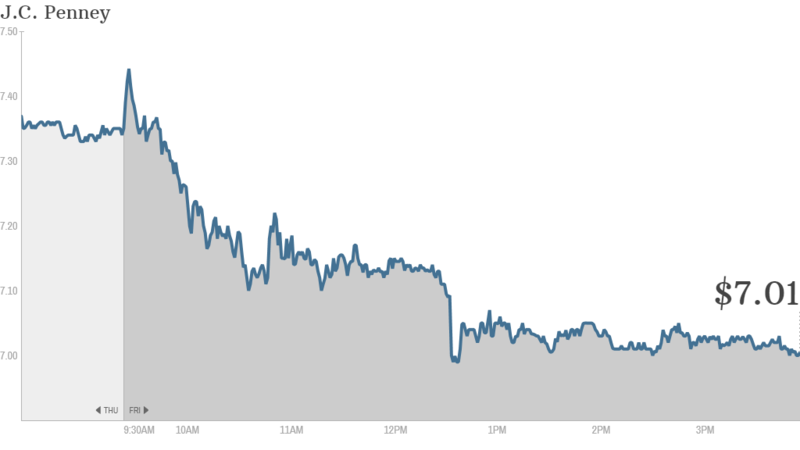 Earlier, the stock dipped below $7, a level not seen since 1980. The rout was sparked by a market rumor that a Canadian financing company was denying J.C. Penney credit. It was the second time this week that J.C. Penney's stock was hit by an unsubstantiated rumor. On Tuesday, the stock plunged on talk the company was consulting with a bankruptcy firm. J.C. Penney shares are down more than 60% so far this year due to concerns about sliding sales and mounting losses at the once mighty retail chain. But the company suggested that the recent spate of rumors are a ploy by short sellers to drive the share price lower in order to make a quick profit. In a statement issued Friday, J.C. Penney pushed back against what it called "unprecedented attacks." "These rumors are unequivocally false and constitute nothing more than attempted market manipulation by certain types of investors for their own personal gain," said J.C. Penney spokesman Joey Thomas. The retailer added it has made "meaningful improvements" in its turnaround plan and expects to end the year with more than $2 billion in excess liquidity. J.C. Penney recently raised $785 million in a secondary offering of 84 million shares. It also disclosed in a regulatory filing this week that it had reached an agreement with lenders to lengthen the maturity on an existing credit facility. Still, 2013 has been brutal for the 111-year old retailer. The company ousted CEO Ron Johnson in April after his controversial overhaul of pricing fell flat with consumers. In August, hedge fund manager and long-time J.C. Penney investor Bill Ackman jumped ship. Once the company's largest shareholder, Ackman lashed out at the board for not listening to his suggestion to replace CEO Myron Ullman, who returned to J.C. Penney to replace Johnson. Ullman was the CEO before Johnson, who left Apple (AAPL) to take the top spot at J.C. Penney.